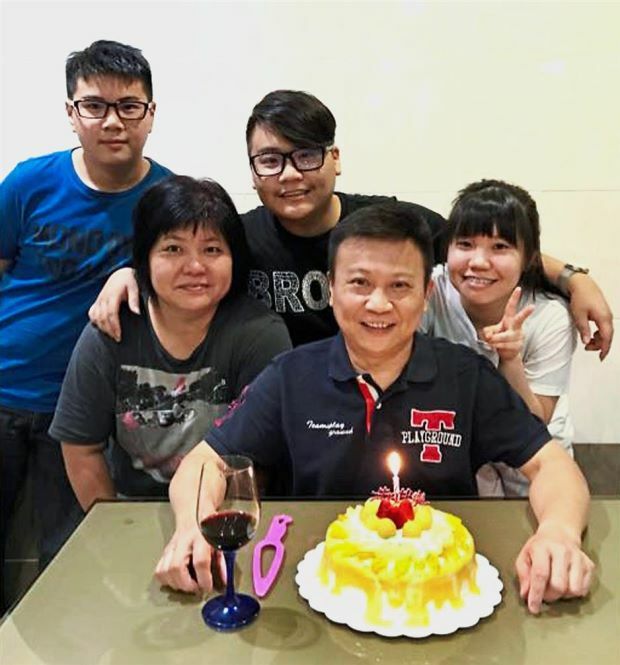 "Four in a family killed in fire - were trapped by the iron grille on the windows of their house"
Tragic loss: A photo of the family celebrating Lim’s birthday. Yi Jun who was not at home when the fire broke out is at right. PETALING JAYA: Just days after holding a Chinese New Year reunion dinner, a couple and their two sons were killed in a blaze, choked by smoke when they were trapped by the iron grille on the windows of their house. The body of Lim Ah Kok, 58, was found with those of his two sons, Lim Yong Liang, 20, and Lim Yong Wei, 17, in the second room on the upper floor of a double storey terrace house in Jalan USJ 2/3, Subang Jaya.